Henrik Stenson Captures the 2016 Open Championship! Henrik Stenson captured the 2016 Open Championship with a final round of 63 to win by three. Stenson began the final round with a one shot lead over his closest pursuant. Stenson attacked the wind blown Scottish links and made ten birdies in the final round. His final score of 20 under par is an Open Championship record. This is Henrik's first major championship and the first Swedish born male major champion. Stenson's four day total of 264 total is also the lowest total by a major winner in history. "I just hit my spots and hit my shots and just stayed in the moment... " said Stenson post round. 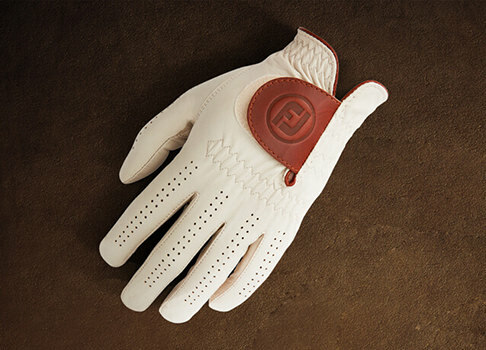 Stenson relied on FJ Icon Traditional MyJoys and a Pure Touch glove en route to his victory. 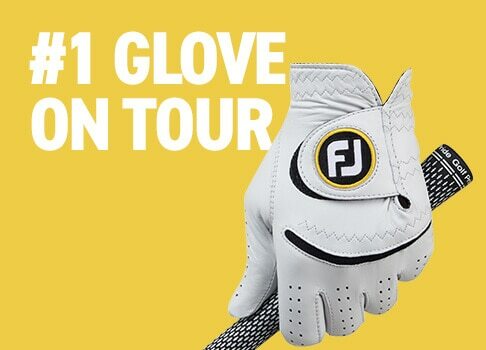 The FootJoy team in Europe just concluded a great promotion called MyJoys May that culminated in a group of 8 FJ players wearing MyJoys shoes that were hand picked by website visitors. "Everyone loves to know what shoes the Tour guys are wearing, and we thought why not let the consumer choose! Really, its the only piece of equipment that we can throw open to the everyday club golfer to choose on behalf of the player. The BMW PGA at Wentworth is the flagship event on the European Tour so we felt that this would be the perfect event to showcase the shoes. The fact that both MyJoys and May start with the same letter was just a coincidence....! 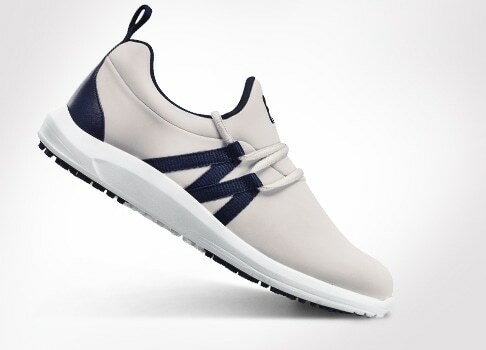 So we spoke to all the key players and got them to design 3 pairs of shoes through our website www.myjoys.co.uk and to let us have the designs. 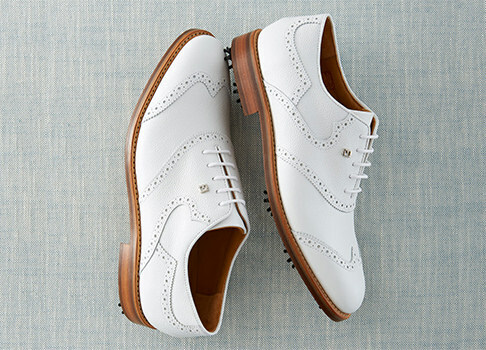 The idea initially began inviting news subscribers to design a pair from scratch for Titleist and FJ Staffer Kenneth Ferrie. Kenny went through the hundreds of entries and selected a pair of white sheild tip FJ ICON MyJoys with a lime patent saddle and a pink patent accent - they looked superb! Here's a photo of him wearing them with the winning designer Chris Pyle, a 4 handicapper from Hull. We then put up the website www.myjoysmay.co.uk which featured eight prominent European FJ players and consumer got to vote on one of the 3 designs on the players' shortlist. A live leaderboard would then generate to show which design was in the lead. This was then backed up by some banner advertising on the major websites in the UK to allow even more golfers to get involved. 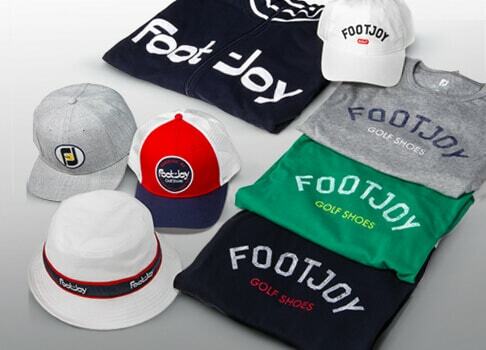 MyJoys has had a great start to the year, with the addition of 4 FJ ICON styles to the MyJoys programme golfers across Europe are ordering some great designs and really taking advantage of the seemingly endless number of customisation options." Tour pros the world over are embracing the fashion, fun that MyJoys has to offer. Build yours today by visiting your local golf retailer or by visiting MyJoys.com. The FJ team is back on the road next week at the AT&T Pebble Beach National Pro Am. 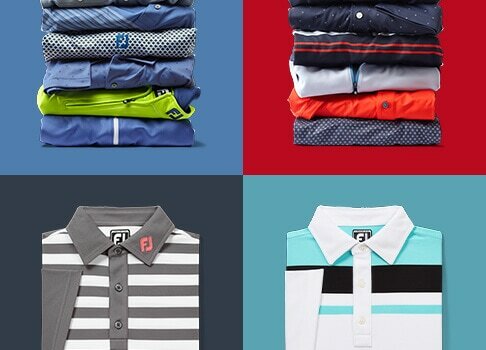 For the last several years, we have been on-site for our annual FJ Performance Outerwear drop. More than virtually any other venue on the PGA Tour, Pebble Beach tests FJ's motto of "Make Every Day Playable". Considered one of the most beautiful places on the planet, the Monterey Peninsula is also know for its extremely unpredictable early season weather. 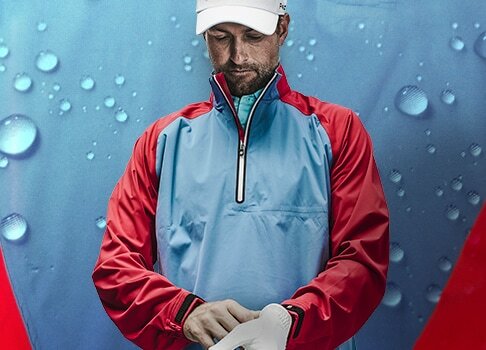 Chances are good that the players picking up the latest FJ outerwear before the event will likely have the chance to use it the very same week. As usual, we will be talking to players and capturing snapshots from inside the ropes, so stayed tuned next week on the FJ Blog for the latest from FJ Outerwear Week. 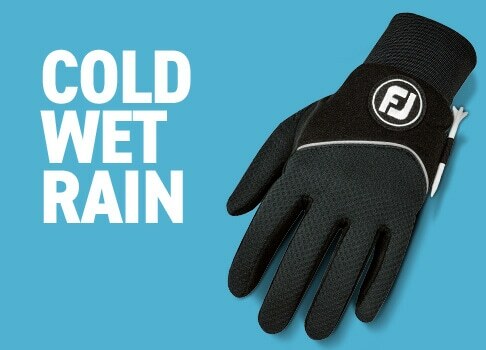 In the meantime, don't forget about FJ Outerwear as essential performance equipment for your own game. 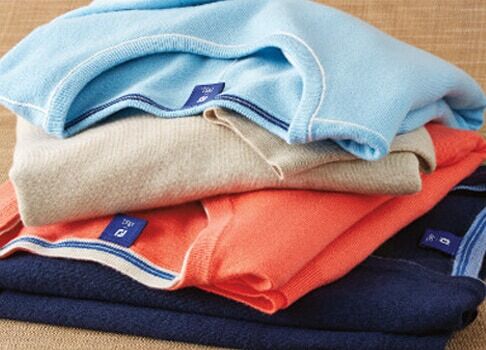 Whether wet, wind, cool or warm, FJ has you covered. 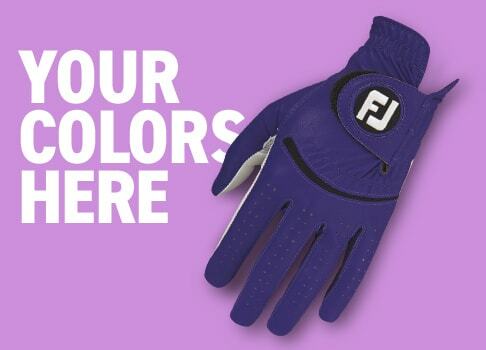 Check out the latest in FJ Performance Outerwear for men and women. -- Thanks to European Tour reps Jonathan Loosemore and Guy Smith for this latest update! The Desert Swing is under way, with the first stop in sunny Abu Dhabi. 5 of the Worlds Top 10 players are in action this week in a stellar field, including FootJoy loyalists Rory McIlroy, Lee Westwood, SBS Championship winner Geoff Ogilvy and the colourful Swede, Henrik Stenson who has just agreed a multi-year deal to wear FootJoy shoes again. All 4 players will be gracing the fairways in the new FootJoy ICON shoe. Camillo Villegas and Ian Poulter have also flown over from the US, as they look to grab some early points in the 2010 Race to Dubai. The new FJ Sport is also catching a few players eyes. Pablo Larrazabal and Peter Lawrie were both wearing the shoe in practice this week. With it's colourful and athletic styling, it is sure to be a hit with the players on Tour. We welcome a new line-up for 2010 to our FJ collar programme, some of the latest additions include last season Rookie-of-the year, Chris Wood, Robert Rock and Irishman Peter Lawrie. Steve Webster and Ricardo Gonzalez continue with the FJ collar for another season. 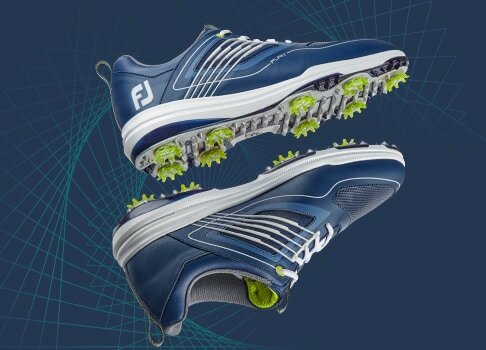 Players are placing shoe orders at a rapid pace with the FootJoy tour reps, and there are certainly going to be some funky looking shoes gracing the Tournaments across Europe this season thanks to the fantastic MyJoys offering from FootJoy. Despite all the rain last week in Atlanta, the grounds staff at East Lake was able to, not only make the course playable, but difficult! While the course was soft from tee to green, the greens were firm and prevented players from really attacking the pins resulting in only eight players breaking par in round one. After the players got through the first nine, the grounds crew was actually watering the greens which almost seems comical considering the deluge the course suffered last weekend. Although more rain is in the forecast for Friday, expect the greens to remain fast and firm for the second round, although you can also expect the players to make some adjustments and find some birdies out on the course. We're seeing a lot of players wearing SYNR-G this week at East Lake as they look for the most stable platform to combat the soggy conditions. SYNR-G wearers Zach Johnson (StaSof glove) and Steve Stricker (PureTouch Limited glove), who both wore style #53870 in round one and can win the FedEx Cup by winning THE TOUR Championship, sit at even par after round one, just four shots back. Padraig Harrington (SYNR-G style #53918, PureTouch Limited glove) continues to play well and sits just one shot off the lead following a first round 3-under 67. Harrington has finished in the top 10 in each of his last five starts, including two runner-up placements. Marc Leishman (SYNR-G style #53883) is playing in his first TOUR Championship and is in great position following a first round even par 70. What's News in the Golf World (Sept. 24, 2009) and Who's Your FedEx Cup pick? The story from East Lake so far this week has been rain but it appears the course has rebounded nicely so we can begin to focus on the incredible drama that could unfold Sunday afternoon. While there still may be some debate and confusion about the format of the FedEx Cup, the players seem to be very supportive of the change that allows for any player in the top five in FedEx Cup points to win the cup by winning the TOUR Championship this week. 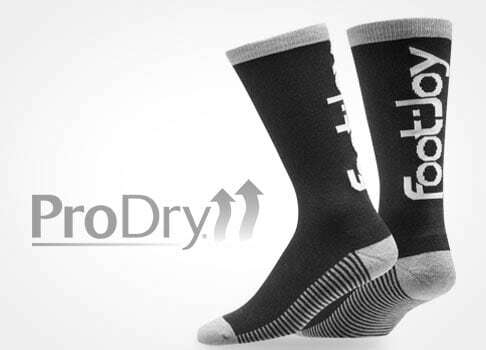 Three of the five players who control their own destiny, and could be putting for $10 million come Sunday evening - Steve Stricker, Zach Johnson and Heath Slocum - wear FootJoy's SYNR-G golf shoes. Lorne Rubenstein of the Globe & Mail debates the "greatness" of East Lake Golf Club as a championship course, considering the unusual par-3 closing hole. Tim Rosaforte tells a great story of perseverance about local Massachusetts golfer, Fran Quinn, who birdied his final hole last week to win the Nationwide Tour's Albertson's Boise Open. The 44-year-old, who wears the new SYNR-G style #53918, all but assured himself of a PGA Tour card for next season, his first since 1992. TITLEIST - Check out this cool Ball Mark Trivia Game on the Titleist blog and find out some things you may not know about the players who will be teeing up a Titleist today at THE TOUR Championship. CAMERON - You never know what Tour player or VIP you might see when you peak inside the Scotty Cameron putter studio. The latest look unveiled a 9-time world surfing champion who stopped by for some help with his putter. COBRA - In the latest edition of "Face Off with Feherty," Gary asks David Feherty, considering his new citizenship in the United States, would he ever consider a role as assistant captain on the U.S. Ryder Cup team? WHO'S YOUR PICK TO WIN THE FEDEX CUP? Here's a great breakdown from PGATOUR.com of each player in the top 30 and what each must do to win the FedEx Cup. More than half the field will be wearing FJ shoes, so which FOOTJOY player has the best chance of bringing home the hardware and the $10 million prize? Is it Stricker, Zach or Heath who can win the Cup by winning THE TOUR Championship or is it someone from further back in the rankings? Click on COMMENTS to give us your guess as to how this plays out! We recently asked you what questions you would like us to ask the Tour players at the Deutsche Bank Championship and got some great responses. Mondo wanted to know how they maintain their concentration throughout the round, drewb6108 wanted to know how often they change their gloves and golfchick, memphisunited and fairwaytoheaven had some questions about style. Well, we asked and they answered! Click on the image below to see their responses. What other questions do you have for the players? Following a disappointing finish at The Barclays where he missed a putt on the 18th hole to force a playoff, Steve Stricker (SYNR-G, PureTouch Limited) rebounded in a huge way Monday at the Deutsche Bank Championship. With fellow FootJoy players Jason Dufner (FJ ICON) and Scott Verplank (ReelFit) waiting on the tee for a possible playoff, Stricker drained a 15-footer for birdie on the 17th hole then slammed the door with a clutch up-and-down for birdie from just off the 18th green to win by one. The victory was Stricker's third of the season, moved him up to a career-high No. 2 in the Official World Golf Ranking and gave him sole possession of the lead in the FedExCup standings heading to Chicago for the third of four playoff events. Another stunning day at the TPC Boston in Norton, Massachusetts as the top 100 players in the world made final preparations for the Deutsche Bank Championship. Once again we were collecting feedback on the new FJ ICON line and working with the players to design some custom shoes through the MyJoys program. We shot some video wth the players talking about the custom process and options that we'll share in the next few weeks. In the meantime, click on the image below to see some highlights from Thursday. We were on the range Tuesday at the PGA Tour's second playoff event, the Deutsche Bank Championship. We were not only checking in with our FootJoy players but also set up a large display to show them the full line of FJ ICON styles and all the options available through the MyJoys program. In short, the players were thrilled! Check out the pictures from Wednesday and we'll post video next week so you can hear what players such as David Toms, Charley Hoffman, John Merrick and Jason Bohn think of FootJoy's new flagship product and all the custom options! One week after Heath Slocum (SYNR-G style #53925, StaSof glove) wondered if he would even make it to the PGA TOUR Playoffs for the FedExCup, he finished off a compelling afternoon at Liberty National by making a 20-foot par putt on the 18th hole to win The Barclays by one shot. "That putt was magical," Slocum said. "I'll remember that the rest of my life." Slocum was tied for the lead with fellow SYNR-G loyalist Steve Stricker (SYNR-G style #53883, PureTouch Limited glove) going to the final hole. Both hit into fairway bunkers off the tee and neither could reach the green. With several of the world's top players waiting in the wings for a playoff should neither make par, Slocum raised both arms in the air when his par putt broke gently back to the left and disappeared into the cup. Stricker had a 10-foot par putt to force a playoff with Slocum but cringed when it caught the left lip. He closed with a 69 and finished in a four-way tie for second. Slocum qualified for these Playoffs with two points to spare -- he was No. 124 out of 125 players who advanced to this postseason bonanza. His victory assures him a spot in THE TOUR Championship presented by Coca-Cola and a shot at the $10 million prize. "That's what it's all about," Slocum said. "I was sweating it out last week. I didn't even know if I'd be here. I came in here with the attitude that I had nothing to lose." Slocum, who came into The Barclays at No. 197 in the Official World Golf Ranking, finished at 9-under 275 and earned $1.35 million for his third career PGA TOUR victory, and first in four years. He vaults from 124th in the FedEx Cup rankings to number three. We'll be working with our Tour players next week at the Deutsche Bank Championship and want you to help us interview them! So click on "Comment" and submit a question you would like to ask a Tour player - either related to their FJ equipment or just something in general, such as how they decide what to wear each week or what they are working on at the range or in the gym. We'll pose your questions to our players and post their responses upon our return. Michael Sim collected his third win of the season Sunday at the Nationwide Tour's Christmas in October Classic, earning him an immediate promotion to the PGA TOUR and recognition as the first professional to win in the new FJ ICON golf shoes. The 24-year-old Sim, wearing FJ ICON style #52005, ended the week at 20-under 264, posting a rhythmic 65-67-65-67 pattern that included only two bogeys, one each on Thursday and Friday. The victory gives Sim an instant promotion to the PGA TOUR this year and will make him fully exempt on Tour next year, just the ninth player in Tour history to earn the promotion. Sim, the former No. 1-ranked amateur in the world, also broke Troy Matteson's single-season earnings record of $495,009 set in 2005. He has eclipsed the record in just 12 starts and is averaging a whopping $43,923 for every week he tees it up. "It's very relieving," said Sim, who collected his second win at the BMW Charity Pro-Am in mid-May. "I'd been in this position before and I wasn't able to get it done. I tried to stay in the moment as best I could. In Omaha I found it really difficult to stay focused on the last day. Fortunately I learned how to deal with those distractions. I did everything right today." 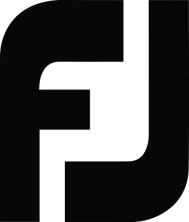 To learn more about FJ ICON, click here to see the styles, click here to visit the new FJ ICON microsite and click here to read an interview with Jack Erickson, VP of Golf Footwear for FootJoy. Padraig Harrington finished runner-up at the WGC-Bridgestone Invitational in preparation for his title defense at this week's PGA Championship. Hear what he had to say after the round.